On Thursday, June 22nd, the USD 443 Migrant Department Middle School and High School students, and their younger siblings, have been invited to participate in a summer session, provided by the USD 443 Migrant Department in collaboration with Dodge City Community College, entitled Migrant Student Leadership. 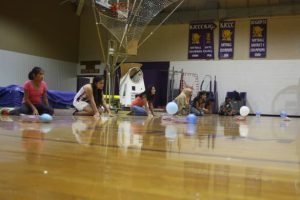 In past years, the students have participated in technological exploration and attended the annual DC3 Career Exploration Day. Like last year, this year’s additional summer session will focus on STEM activities and the event will be hosted on the DC3 campus. Sherry Curtis, DC3 Associate Professor of Physical Science, will host an activity in which the students will have an opportunity to build wind turbines and measure the voltage output. There will also be a gardening activity, presented by a representative of K-State, which will cover soil and water conservation, sustainability preparation, and produce a tangible product for consumption. Working in community of their peers, students will be encouraged towards community engagement. Lunch will be provided in the DC3 cafeteria and students will be treated to a campus tour. The summer session of Migrant Student Leadership is scheduled to begin at 8:30 AM and will end by 12:30 PM.